You’re a cover designer at Penguin, and this is your first book, which you’ve written, illustrated and designed. How did it feel to write as well as illustrate? It was an exciting challenge if a rather daunting one. Despite my years of design and illustration experience I knew that there were a lot of new skills that I had to acquire. Writing and illustrating a story was completely new to me, creating illustrations that don’t just reflect the text but have a relationship with it that tells the reader more about the story. Writing was not easy for me either. Every idea had to be condensed into just a few words. I have such respect for the great storytellers, it’s an incredible craft to learn. Can you tell us about some of your inspirations for your story? The inspiration comes from a place of personal experience that I wanted to document. It’s a life lesson that I found hard to learn; one of love, loss and the ability to adapt to the constant changes that are a part of life. On a visual level my inspiration came from my design heroes, William Blake and William Morris. 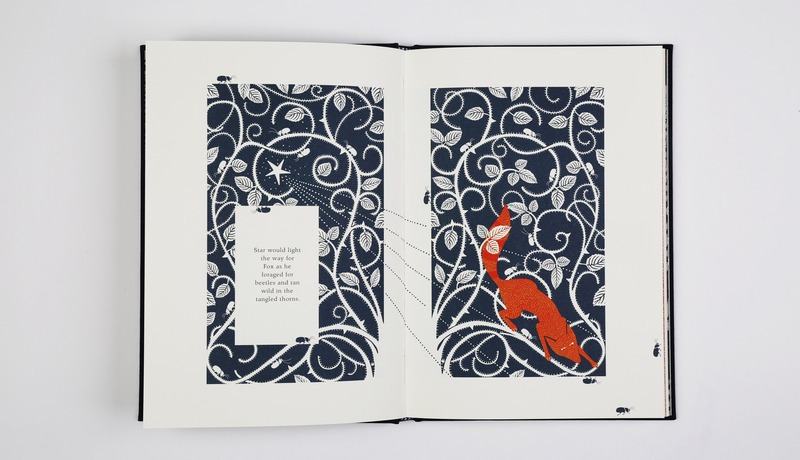 My love of pattern and book design is evident in the illustrations. 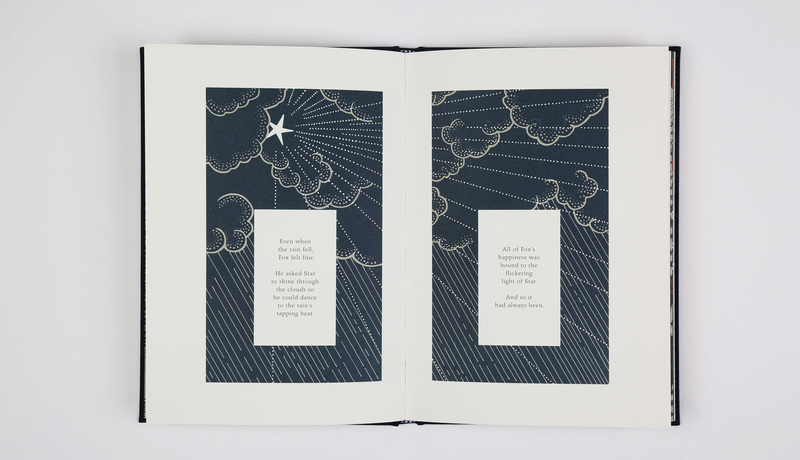 You’re well-known for producing the Penguin Classics clothbound hardbacks. How have those big design series affected how you think about the production and design of The Fox and the Star? After so many years of working on book covers this was the area that I could confidently pour my knowledge and experience into. I knew that If I could find the story to tell I could embellish my own words as I had for many authors before me. What did you most want to achieve with your first book? Having spent my career interpreting other author’s stories I wanted the experience of creating something from start to finish. A book to house my own words. I set out to create tell a simple but universal story that would resonate with the reader and I hope that’s what I’ve accomplished. 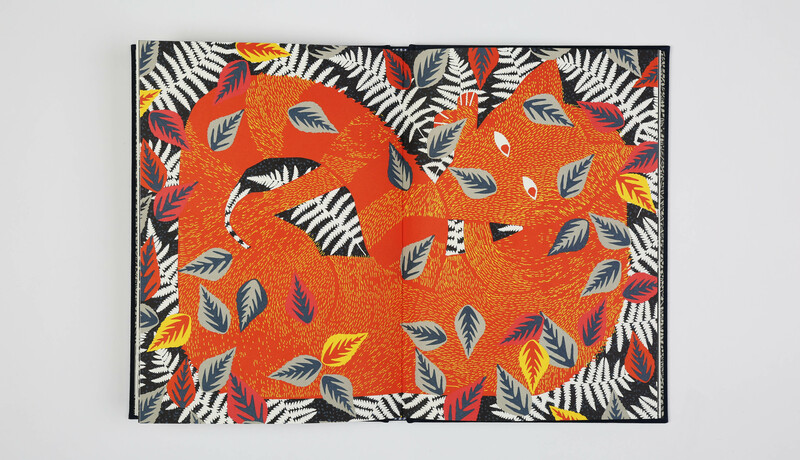 The Fox and the Star, Coralie Bickford-Smith’s first fable, is published by Particular Books on the 27th August. Watch Coralie talking about her Penguin design story on the Penguin UK Books YouTube and read more on the design process on the Creative Review blog.